When I tell my friends a Jewish holiday is coming up, they know there will be food involved. Delicious food, and lots of it. There’s bagels and lox all year long, challah for Shabbat on Friday nights, apples and honey for the Jewish New Year, latkes and jelly-filled donuts for Hanukkah, and the list goes on. But if you haven’t tried hamantaschen yet, you’re missing out. The most recent holiday, Purim, celebrates the survival of the Jewish people in ancient Persia despite Haman’s plot to destroy them. Haman, the villain of the story, wore a three-cornered hat, which the traditional hamantaschen are meant to resemble. The rest of the word was derived from two German words: “mohn,” meaning poppy seed and “taschen,” meaning pockets. Today, we eat pocket-filled pastries to symbolically destroy Haman’s memory in every bite. 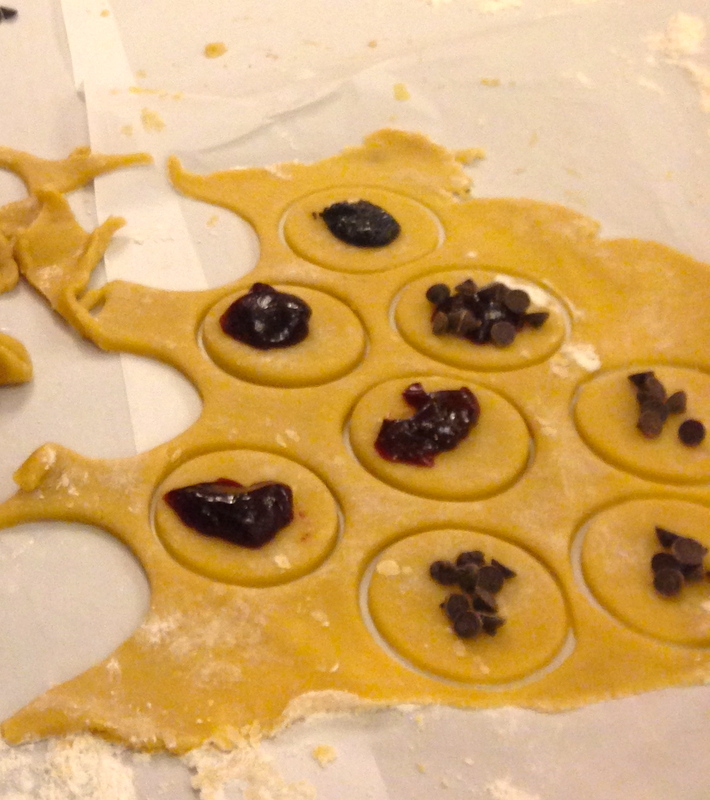 When I was younger, my sister, my mom, and I would gather in the kitchen year after year, filling our hamantaschen with our favorite ingredients: poppy seed (which tasted too bitter for me, but my grandfather’s preference), raspberry, strawberry, and peach jelly, and, the best, if you ask me: any form of chocolate. We would each make our mark, filling our own hamantaschen (and often writing on the foil above it before placing it in the oven) just so we would know which were ours. 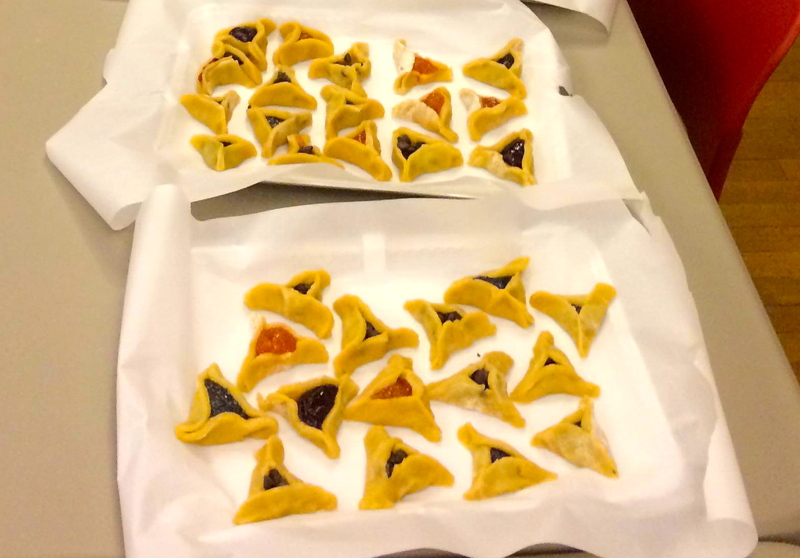 Last week, students baked hamantaschen at Harvard Hillel, using a recipe from Student Activities Director Paige LaMarche! Mix eggs with sugar and add oil. Add baking powder and salt, and flour, stirring all the time. It will be a moist dough. 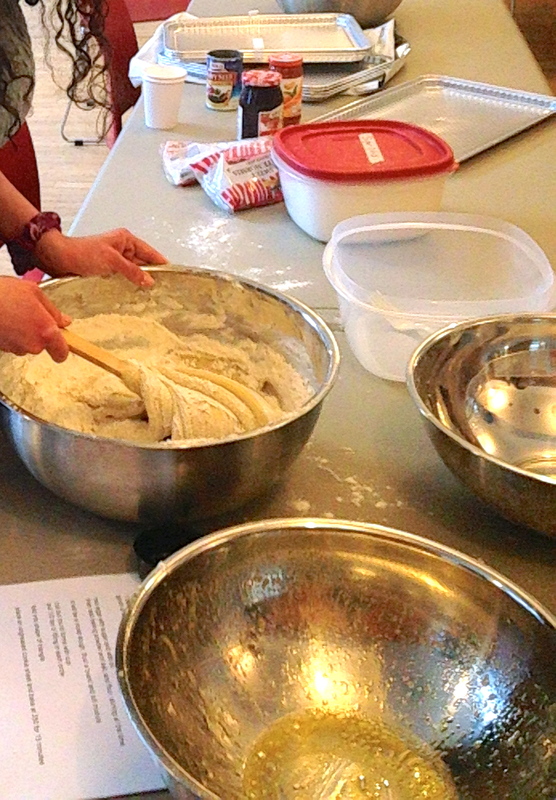 Next, place enough flour on a board to prevent the dough from sticking, and roll the mixture. Cut out round forms with cup. 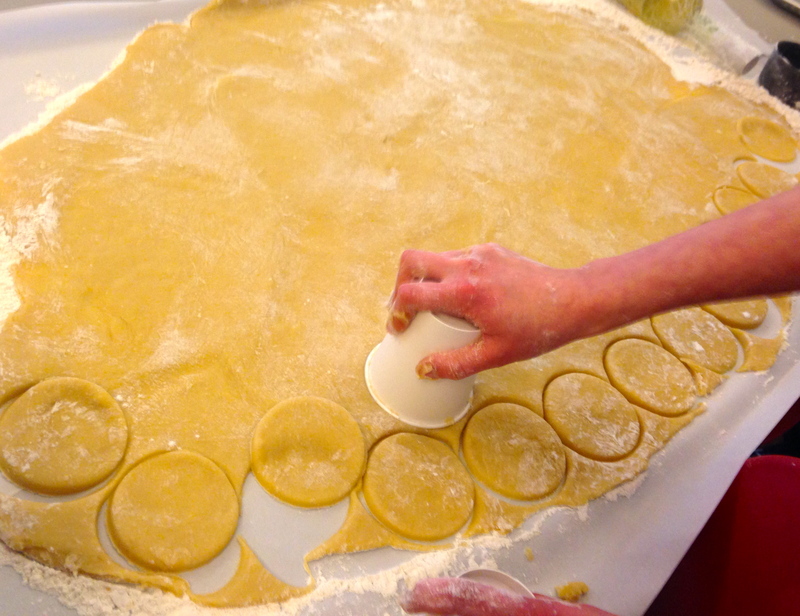 Put 1/2 tsp of filling in each circle. Options above include: jelly, poppy seed, and chocolate chips. Fold into shape of triangle. Place on ungreased cookie sheet and bake at 350 degrees F for 15 minutes. Cool, then enjoy!